While I was more than happy to help such a worthy cause, I secretly wondered how I would find the extra time to finish them all on top of everything else I had to do……………Wait! NO problem! 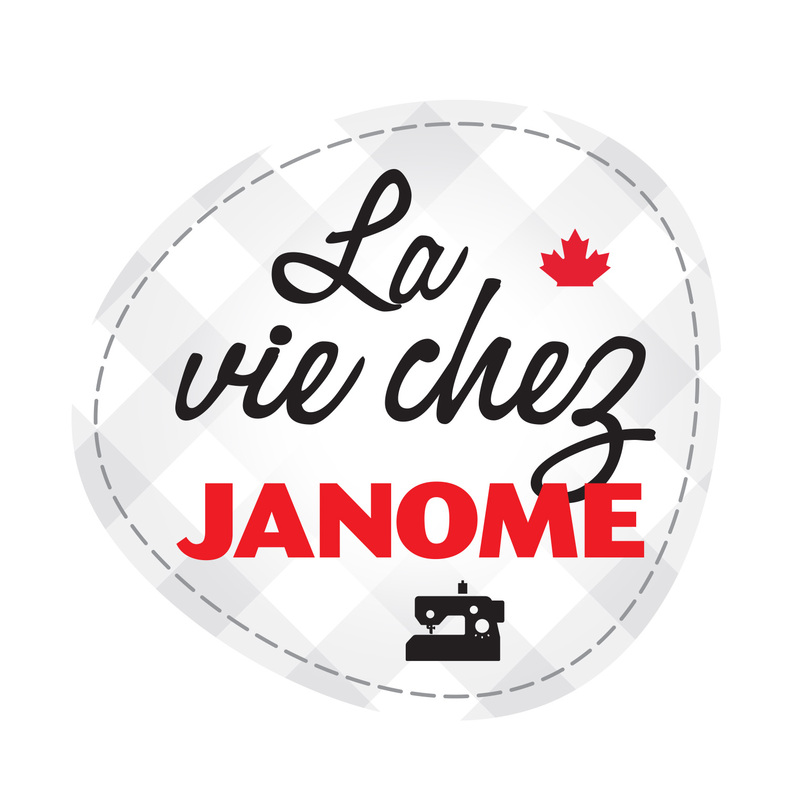 Janome to the rescue! 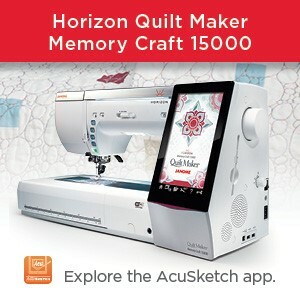 The Quilt Binder folds and sews the binding in ONE step! YES! ONE STEP! It may look a little intimidating given it’s size and full metal fabrication, but it’s a dream to use and super-easy to attach. 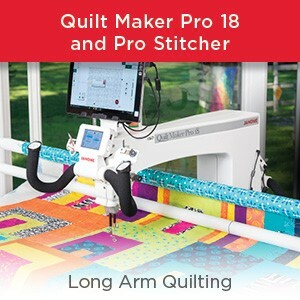 A full list of compatible models with which to use the attachment is available at http://www.janome.com, but basically it will fit any model which features the easy-set bobbin cover. Don’t worry, in usual Janome fashion there are FULL detailed, step-by-step instructions included, even on mitering the corners! Everyone always asks about those! I must admit, I was a little dubious about those myself, but the instructions were very easy to follow, And check out this video. This is part 1 but there is part 2 and 3. Search on You Tube and/or Janomelife for these video’s. Watching the videos definitely helped take the mystery and fear out of the miters and I’m giddy to admit just how simple, easy and FUN it was to complete those quilts. I have bound many, many, MANY quilts over my 25+ years of quilting, but I have NEVER bound a quilt so fast with SUCH excellent results as when I used the Quilt Binder Attachment. I love that foot and use it every chance I get! And don’t think you’re limited to use only a straight stitch. 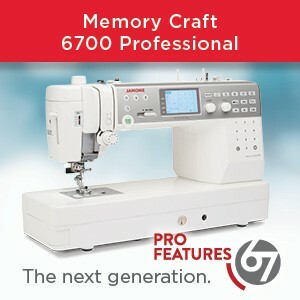 This is the perfect time to experiment using some of the many decorative stitches included on your machine. SEW many possibilities! Now, would I use this to method of binding for a quilt entered into a show, or an heirloom quilt I hoped would last forever? Well, no, I wouldn’t. BUT! Baby quilts, charity quilts, placemats, table runners, tote bags, anything which would be washed frequently and/or take a lot of wear and tear, or of course, any project I wanted to get DONE in a flash! ABSOLUTELY!! This entry was posted in Janome Accessories, Janome Sewing Machine, Quilt Binder and tagged Binding by machine, Canadian Quilters Association, CQA/ACC Big Quilt bee, Easy Set Bobbin, Horizon Memory Craft 15000, JANOME, Janome Look Book 2017, Janome sewing machines, Quilt Binder Attachment, Sewing Shortcuts, The Canadian Big Quilt Bee. Bookmark the permalink.